There are some very cool properties for sale downtown right now. Here are a couple highlights of what we think are too awesome or unique not to share! Sansara is one of the newest additions to downtown, finished just earlier this year. 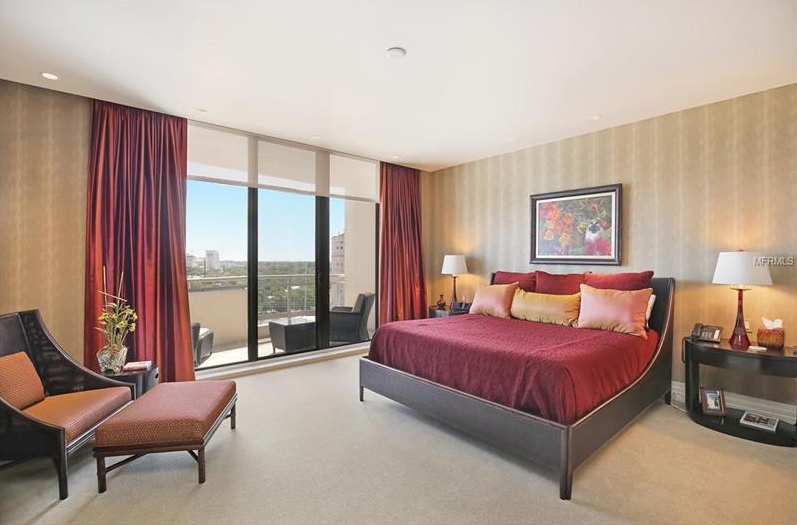 The luxurious 10-story building has only 17 residences, and this condo is the first resale! 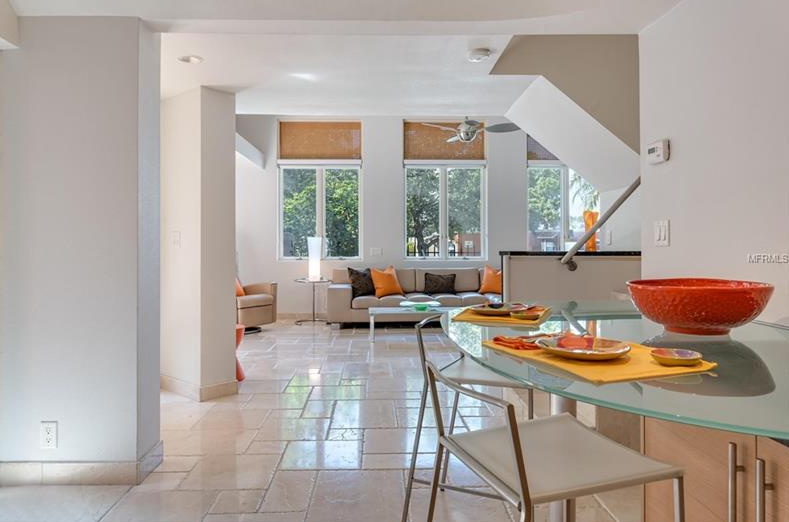 This elegant 3 bed/3 bath condo features a retractable window wall from the main living area to a large terrace, offering panoramic views of downtown and Sarasota Bay. 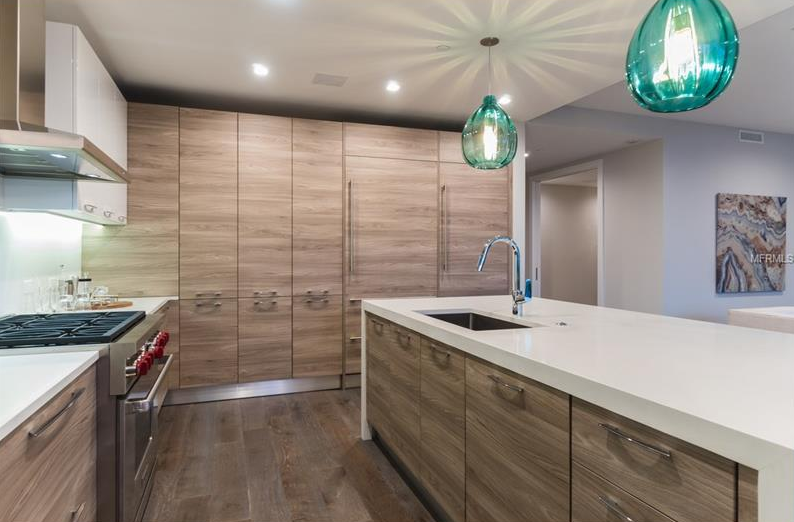 It also comes with extensive upgrades throughout, including wood floors, upgraded Italian cabinetry, top-of-the-line appliances, and quiet-close pocket doors, among others. 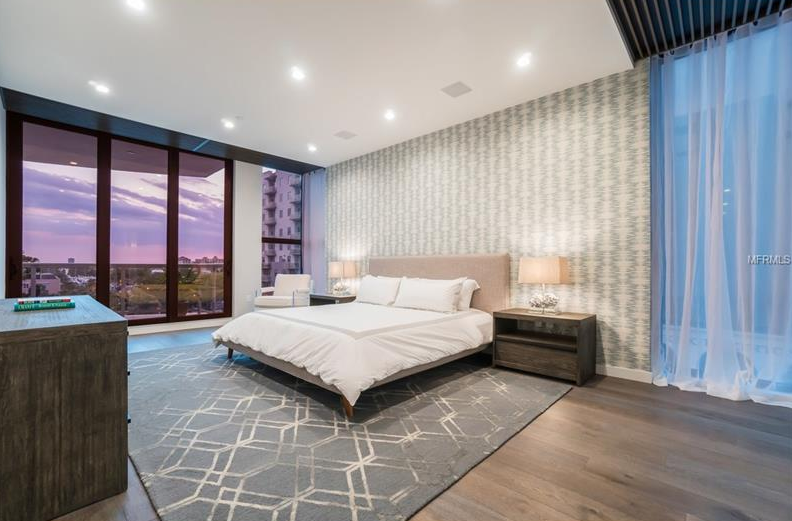 Sansara is located at the edge of one of our favorite downtown neighborhood niches, Burns Court, and comes with a wide array of amenities including concierge, fitness center, and a stunning pool/spa. Like the furniture? We do! This one is available to be sold totally furnished for those who want to walk in and start living the High-Level Living life tout suite! Ever wondered what a cool $5.8 million dollars could buy you? Wonder no longer. 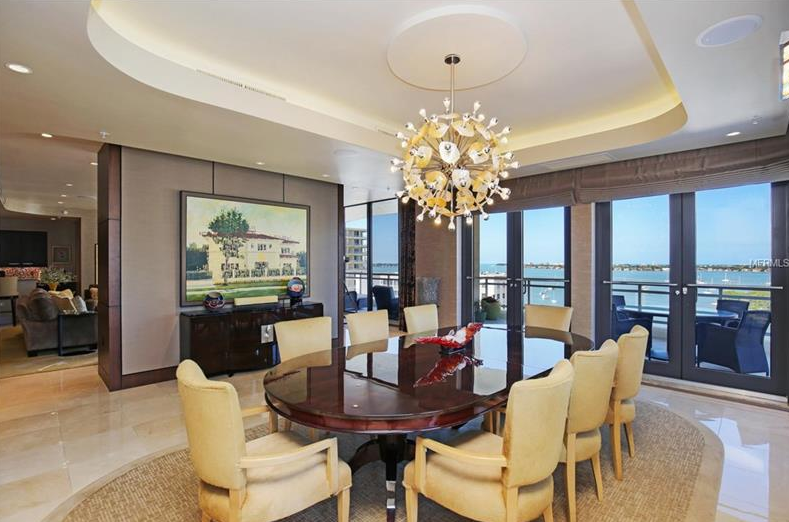 This massive penthouse in Savoy on Palm offers decadence from one end to the other. 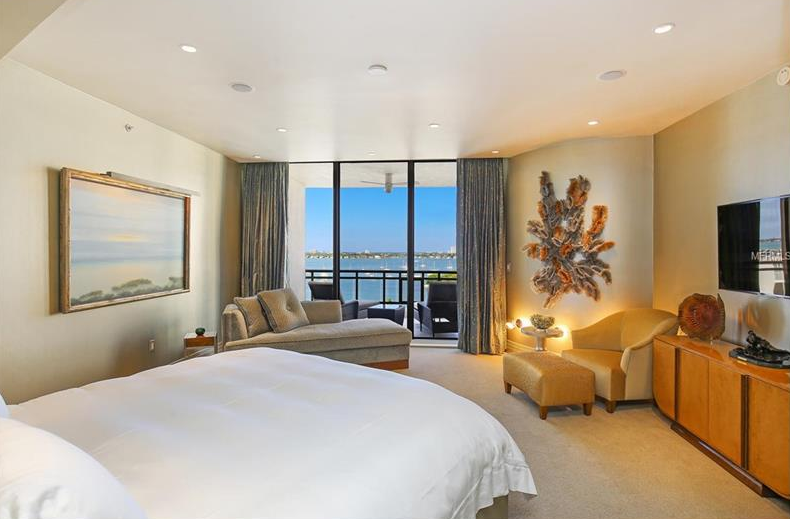 Breathtaking views of Sarasota Bay from 11 stories up will wow anyone who stands on the terrace or in one of the many rooms that enjoy this view, and the city views overlooking the very heart of downtown don't disappoint either. The chef's kitchen features top-shelf everything. The rotunda entry foyer has gorgeous inlaid onyx flooring and a lighted sky dome. What you can't see in the pictures? A 1,200 bottle wine cellar, private elevator foyer, 10 ft. ceilings, gas grill and hot tub on your terrace, and 3 car garage are a few added features. We. Are. Wowed. We say "never available" because it's true! I had to go back to 2014 to find the last unit that was sold in Library Mews, a small collection of townhomes located right in the center of downtown. 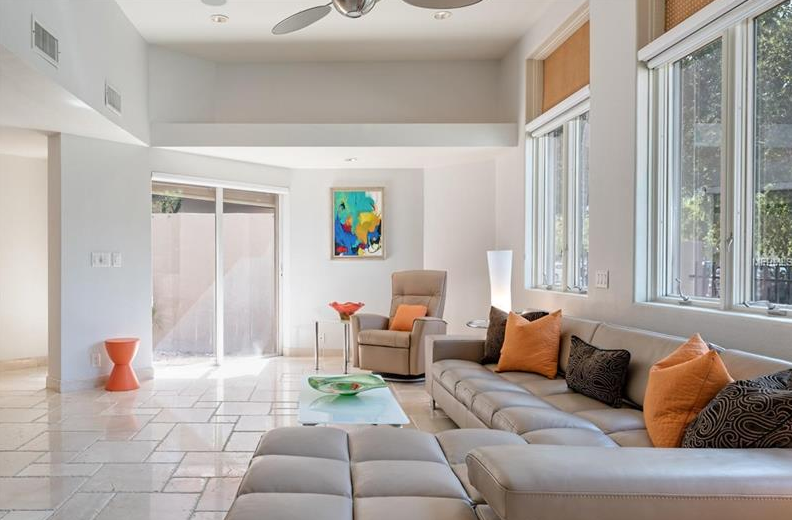 Gorgeously architectural with artistic details everywhere, this specific home has simply STUNNING features such as wave-like mosaics, curved volume ceilings...even the floor tile is laid in an interesting and creative pattern. Located between 1st and 2nd on Cocoanut, Library Mews is right down the street from (did you guess?) the downtown library, around the corner from FST, The Opera House, and the fantastic Bijou Cafe, and is a short stroll from the Sarasota Farmer's Market on Saturdays. Did we mention that Library Mews comes on the market next to never?! 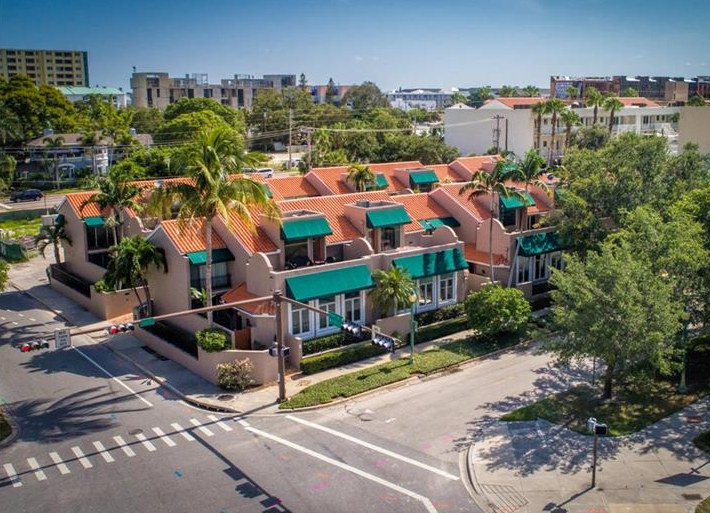 We are always on the lookout for the best and most unique properties in and around the downtown Sarasota area, and we can help you zero in on locations that might be good for you. 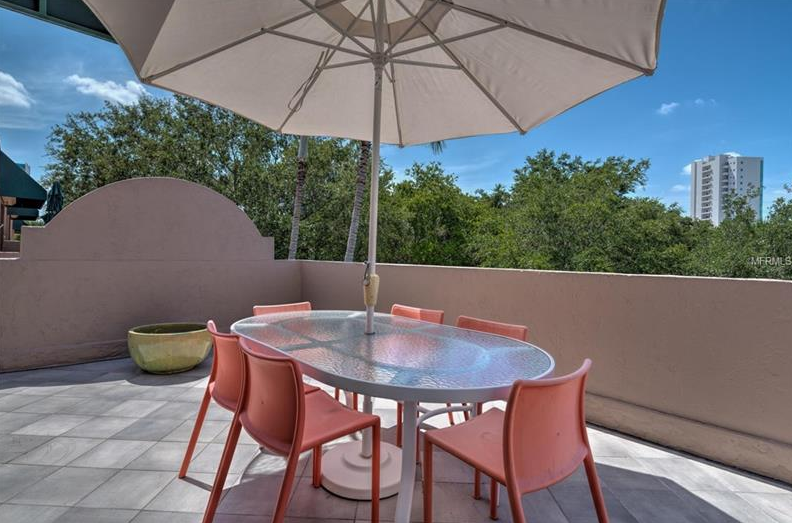 Give us a call if we can help you find your perfect piece of paradise in Sarasota so you can start enjoying the View from the Top! Newer PostNeed a Break from City Life?